Fill a choir seat and fill your soul! Return to God His glorious gift of music. 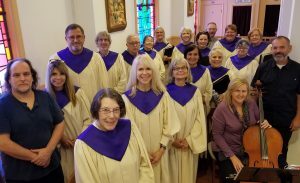 A variety of sacred music enriches the liturgies at St. Paul’s Church. 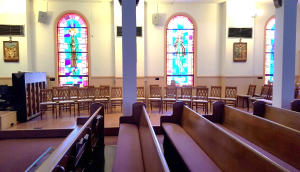 Commitments may be made by liturgical season or year-round. Please consider making music YOUR ministry. 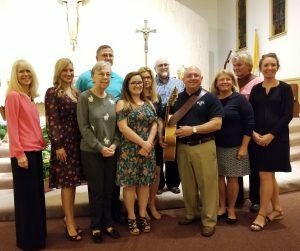 Cantors provide music leadership for the 5:30 p.m. Vigil and 11:30 a.m. Sunday Masses, and Holy Days of Obligation, weddings and funerals as needed. Cantors are selected by audition. 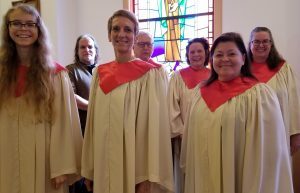 Instrumentalists accompany the cantors and choirs at liturgies and services throughout the year.